NEW YORK (KTXL) — With summer comes an influx of terrifying and sad news stories of parents forgetting their children in hot cars. Often they have devastating endings. Though these parents love their children, sometimes distractions can take over and leave them with tragic results. A new feature from General Motors hopes to change that. In the 2017 GMC Acadia, the company is adding a warning tone like a seat belt reminder that will tell them to "Look In Rear Seat." The feature, which is not optional, uses the same back door sensors that tell you a door is open while you are driving. 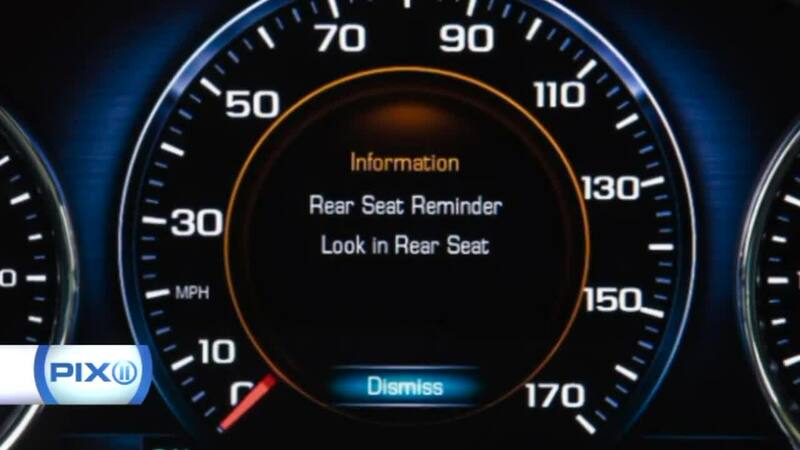 The back seat warning signal is triggered when sensors detect a back door being opened and closed while the engine is running. GM's global safety strategy engineer Tricia Morrow told CNN that it will be included in all Acadias. According to NoHeatStroke.org, 12 children have died this year from heatstroke in cars. Last year, 24 children died from the same cause. More than half of them were forgotten by parents or caregivers who strapped them in the back. A recommendation for avoiding this horrible accident is to put your cell phone or something else you usually need in the back seat with your child, so when they reach for the item they will remember to look in the back seat.